You wouldn't know it from the freezing temperatures here in D.C. yesterday and today, but the recent (somewhat) mild weather had me looking forward to spring. And what better way to do a bit of a warm weather rain dance than with some winter white? And I couldn't resist adding a touch of gray and silver - it's one of my favorite color combinations! Unfortunately, I'm now buried under layers of scarves and coats and will be until this cold snap decides to vamanos! Stay warm! 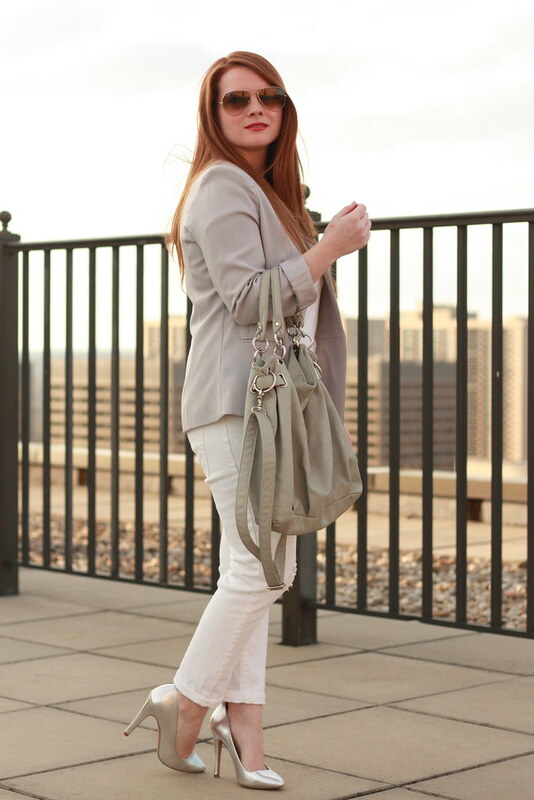 Love the neutral palette of this outfit...you look great! 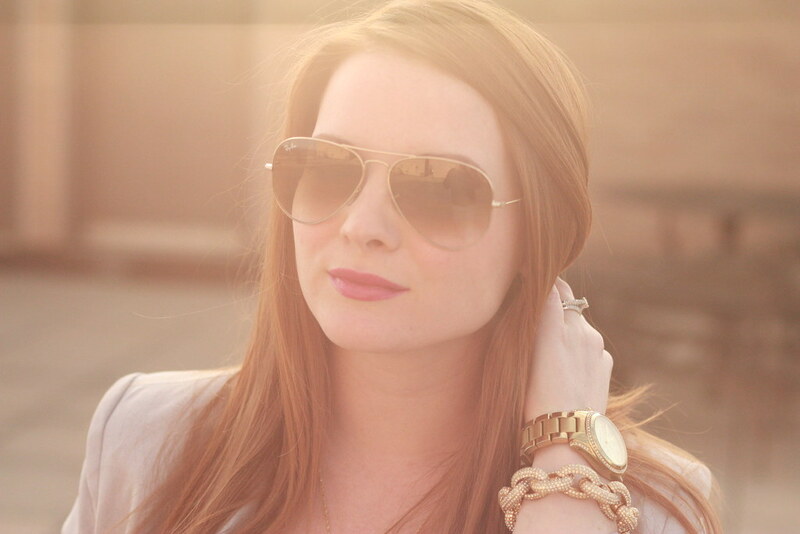 Your hair with this color combo is ah-maz-ing!! Love how the neutrals make your red really pop; such a gorgeous look! And those silver heels are the perfect touch.. Your gorgeous hair just pops in these photos! I love the monochromatic look - its crisp and classic! I'm loving all this gray! I'm a sucker for these tones so I adore this outfit! love this palette! grey and white are so pretty... those jeans look amazing. 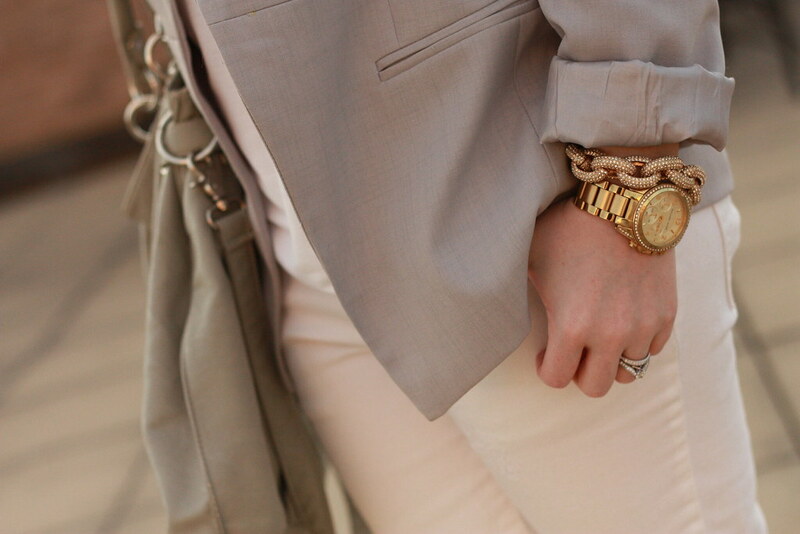 Love this neutral color look and that blazer is gorgeous! I am a new follower on BL!! Beautiful outfit! 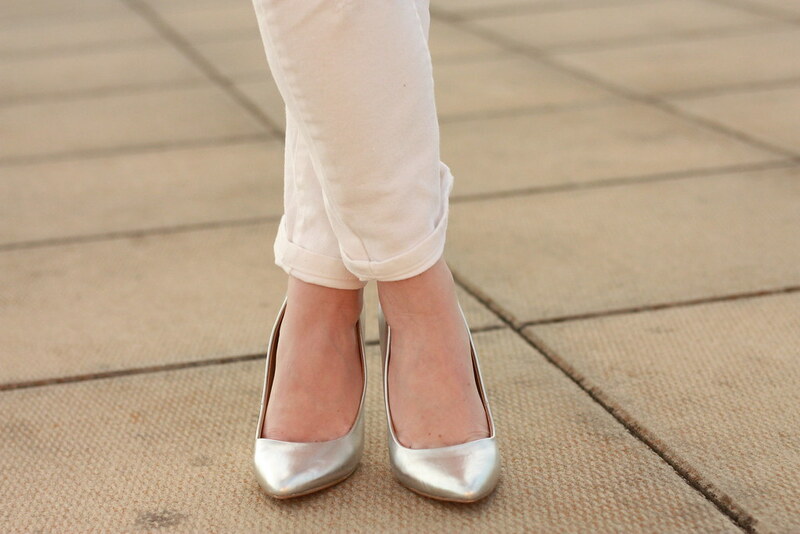 I love the neutral color palette, and love your silver shoes! LOVING the gray with your hair color! you look seriously fabulous!!! Loving the colors in this look! Obsessed with your blazer! 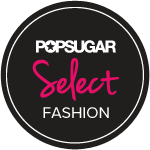 I can't believe it's f21!